When a parent is diagnosed with cancer, it can be a very scary time for not only the patient but also for his or her children. 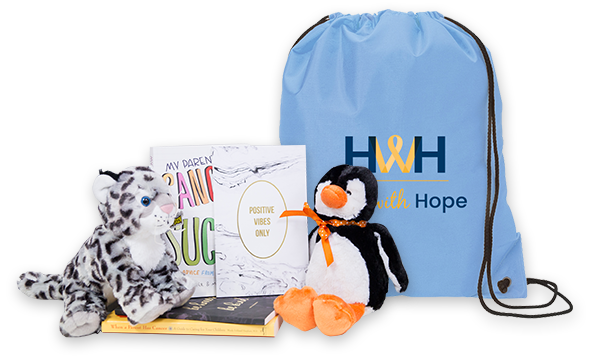 Help with Hope’s goal is to support every child whose parent has been affected by cancer with compassion and understanding. This is accomplished through online support groups and care packages (containing a fluffy, comforting stuffed animal, journal or coloring book and a book on coping with their parent’s cancer). In 2015, previous pediatric Nurse Jenny Yessaian and husband George assisted their children Mikey and Emily Yessaian in creating Help with Hope (formerly Hot for Hope). 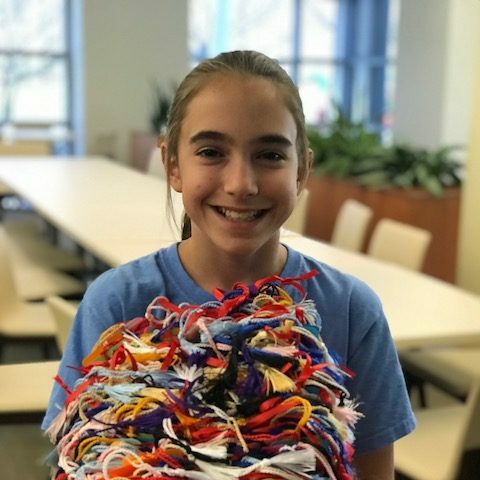 Through a series of early-morning coffee and hot chocolate sales to parents and students before school, Mikey and Emily began their venture of helping children whose parents have cancer. They were able to raise enough money to provide over 100 care packages to kids nationwide their first year, with 1000 distributed to date. 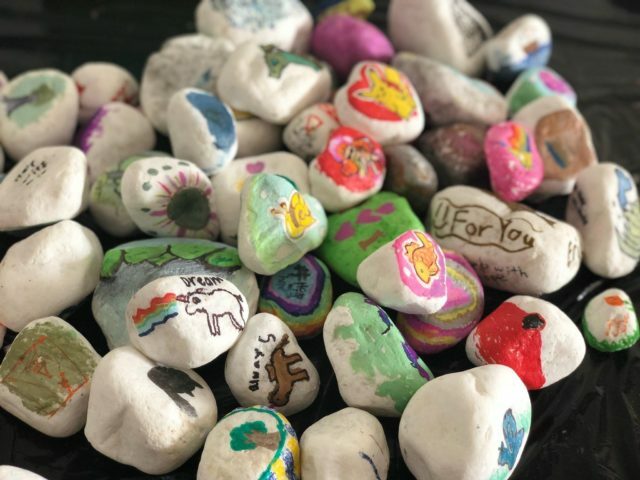 Mikey and Emily discovered a need beyond their local community and through much support and success, they have been able to fulfill a national need. Help us support children whose parents have cancer. Donations of any amount make a difference. Help with Hope has partnered with Lacuna Loft to bring a support group to the children whose parent has cancer. If you are a parent with cancer and have a child between the ages of 8 and 17, they can attend an online meditation support group with other kids who understand what they are going through, parents are also invited! National Take Your Child To Work Day- 800 Bookmarks!